Hazmat transportation has many rules and regulations that surround it. It needs to. Hazmat can potentially be very dangerous if not properly handled. That’s why there’s such a large variety of hazmat placards. The numbers and colors shown on them determine the severity of the danger that the material represents. Gasoline tankers have the number 3 on their placards. That means that they are flammable. An accident can result in an oil fire breaking out. That could lead to injury or worse. However, that danger is a potential while hazmat drivers face a constant danger. Due to the nature of their cargo, many hazmat transporters are forced to take alternative routes that provide their fair share of danger. It’s a terrifying experience to carry the knowledge of the dangers the pass offers, as well as, your own cargo. That’s why for years the Colorado Motor Carriers Association and Colorado Wyoming Petroleum Marketers Association have been pushing for these drivers to not have to take the pass. The Eisenhower Tunnel is down Interstate-70 after the exit drivers have to take while making their way towards the pass. The tunnel is a 1.7 mile long, four-lane highway that cuts through the mountain the pass is built on the side of. 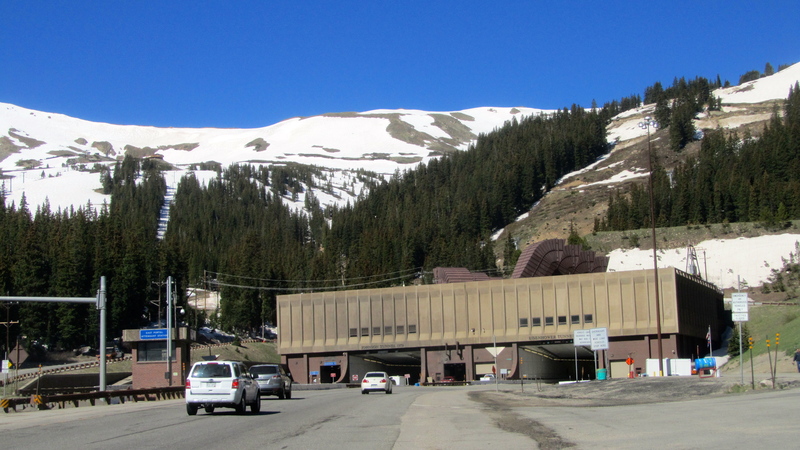 Taking the tunnel shaves off the 90-minute drive that trucks need to take across the pass. So far changes to this law have been unsuccessful. Greg Fulton, president of CMCA, has long been an advocate for these changes. “The weather conditions can change quickly, and driving through the pass can be physically draining, causing drivers to become fatigued,” he said. “And even the best of drivers can hit ice spots that can send a truck out of control.” Alongside environmental concerns, the reason Colorado doesn’t allow hazmat trucks in the tunnel is that of concerns that a fire, accident, or fuel spill would damage the structure and create a traffic mess. Only time will tell if there will be changes towards this law.